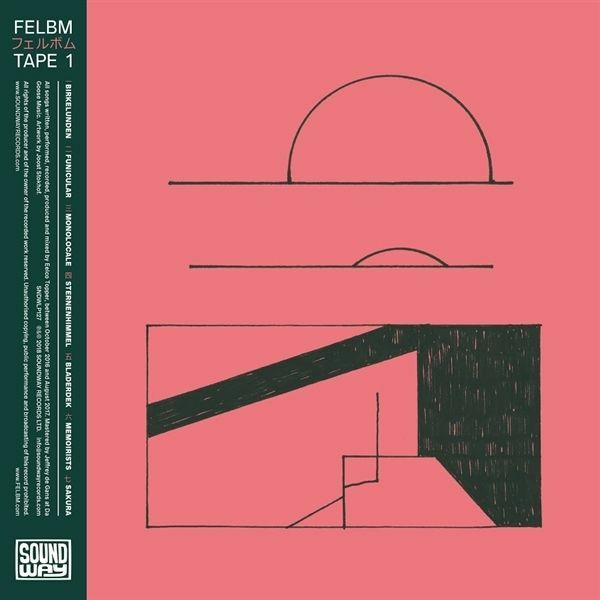 In the Felbm project, Dutch multi-instrumentalist Eelco Topper steps away from his previous synthesiser-laden sounds as Falco Benz, towards a much looser, simpler and sketch-like approach. Picking up a number of acoustic instruments, he began experimenting with a Tascam 4-track tape recorder and allowed these sketches to flourish.The result is Tape 1 and Tape 2, a two-part project stretching across fifteen tracks - encompassing fluttering piano melodies, subtle jazz drums, rumba rhythms and soothing ambience. The jazz element links back to Toppers childhood. "I grew up playing drums, switched to playing piano at sixteen and in the meantime I produced hip-hop beats," he recalls. "I went to study jazz piano at the Utrecht Conservatory, which I finished with pain and effort. I was interested more in electronic and present-day music. "This mix of being rooted in traditional jazz composition whilst searching for something more contemporary is the perfect encapsulation of these recordings. Tape 1s jazz roots are palpable and as things move into Tape 2, it takes on a neo-classical, psychedelic soundscape and cinematic quality.